Warning: The following article and trailer contain spoilers for the first three episodes of The Walking Dead: The Final Season. Clementine’s journey is nearly at an end as The Walking Dead: The Final Season’s fourth and final episode, “Take Us Back” is less than a week away. 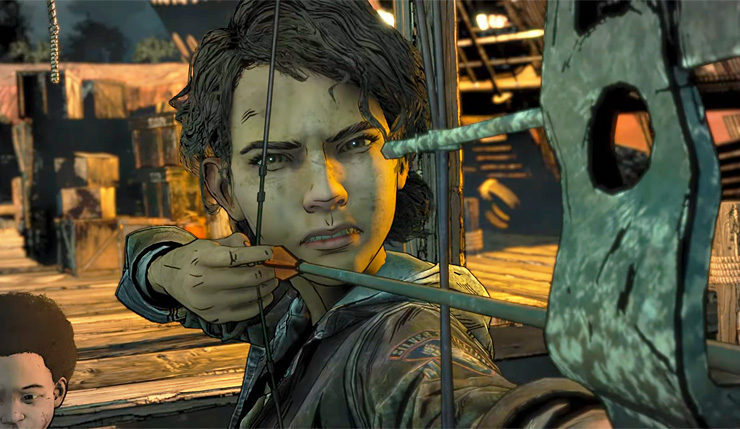 For a while, it seemed like Episodes 3 and 4 wouldn’t happen — last year Telltale Games shut down and cancelled all future projects including the remaining two episodes of The Walking Dead: The Final Season. Thankfully, Skybound Games, a studio founded by Walking Dead creator Robert Kirkman, stepped in to finish the season with a team largely composed of ex-Telltale employees. If you were hoping the trailer for Episode 4 would provide reassurance that Clem and AJ will be alright, well, sorry to disappoint you. Following the events of Episode 3, our heroes have escaped a sinking ship and are beset by zombies on all sides. That song playing over the trailer doesn’t exactly set a cheery tone, either! That said, I’m still foolishly holding out hope for a happy ending (or as happy as Walking Dead endings get). You can check out the trailer for yourself, below. The Walking Dead: The Final Season Episode 4 shambles onto PC, Xbox One, PS4, and Nintendo Switch on March 26. The PC version is exclusive to the Epic Games Store.